By Saipooja, School of Legal Studies, C.U.S.A.T. An independent judiciary is an indispensable element of a democratic system. However our democratic system essentially gives due weightage to the concept of checks and balances. Each pillar of our democracy i.e. the legislature , executive and judiciary are duty bound to ensure that each of the other two pillars do not exceed the limit in exercising their respective powers. The appointment of judges has been a bone of contention for decades since independence and has resulted in a never ending tug of war between the legislature and judiciary. It is undisputable that the judiciary must not be politicised and the judicial fraternity must have a greater say in appointing the judges. The question that still lingers in the minds of the lawmakers and some members of the judicial fraternity is does the present collegium system ensure transparency in the appointment of judges? Are the most eminent ones being appointed or are they being overlooked to accommodate the shrewd and corrupt ones. Must the executive and the people’ s representatives have a greater say in the appointment of judges? The constitution has not laid down a very definitive procedure for the purpose of appointment of judges. Article124 (2) and 217(1) of the constitution deals with appointment of Supreme Court and High Court judges respectively. Originally it has been laid down in the aforementioned articles that ,the Supreme Court judges be appointed by the president after consulting with the Chief Justice and such other Judges of the Supreme Court and the High Court as the president may deem necessary.” Similarly the High Court judges are also to be appointed by the president after consulting the Chief Justice of India, the Governor of the concerned state and in case of the appointment of a judge other than Chief Justice, the Chief Justice of the concerned High Court. These provisions do not clearly lay down if the executive’s opinion would prevail or that of the judiciary would prevail for the purpose of making the appointments in case of difference of opinion among the concerned persons . Thus began the tug of war! Up till the year 1993 , the law minister appointed the judges in consultation with the judiciary. However since 1993 till mid of 2014, the system that is being followed for the selection and appointment of judges is known as the ‘collegium system’. What is the ‘collegium ‘ system of appointment? It is a system under which appointments and transfer of judges are decided by a forum of Chief Justice of India and the four senior-most judges of the Supreme Court. How did such a system evolve? This system evolved through a series of cases. These cases are collectively referred to as the “ Three Judges case”. The first case came up in the year 1981 , in which a five judge bench of the Supreme court by a majority of three is to two judges held that the final power to appoint judges lay with the executive and the views expressed by the Chief Justice was not binding on the Executive. Later in 1994, in S.C. Advocates on Record Association v. Union of India, the majority decision of the nine judge over ruled the 1981 decision by holding that the opinion of the Chief Justice must be given priority since he is giving his opinion on behalf of the entire judicial fraternity. Further the court was also of the opinion that the judiciary must not be politicised by giving the executive the power to have an equal say as the judiciary in the appointment of the judges. 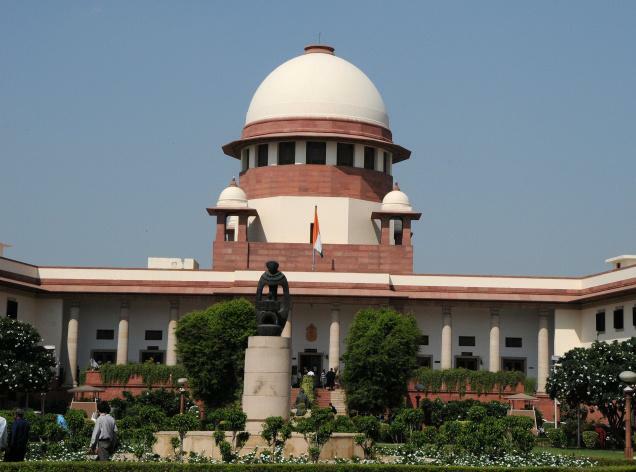 Thus the baby step was taken towards creating a new system called the ‘collegium system’. Later the third judges case added icing to the cake, by laying down the composition of the collegium and the procedure it has to follow for selection and appointment of judges. Every collegium consists of the CJI and four senior-most judges of the Supreme Court. Each member of the collegium is required to give his opinion in writing. If the majority in a collegium disapproves the appointment of a person, the CJI is expected not to recommend that person’s name for the appointment. The set of recommendations given by the collegium would get primacy only if each member’s opinion is given in writing as aforementioned. The inference we can derive from this is that at present, the selection of High Court and Supreme Court judges depends on the opinion of of four to five people. There is no definite criteria for filtering out the best ones from a large number of prospective candidates. It would be a grave mistake to think that these eminent personalities forming the collegium are free from human follies such as personal prejudices and bias. Why should the criteria for selection of judges be one of the nation’s best kept secrets? Is this collegium system the only system that guarantees judicial independence? I. Is there any ‘collegium’ system in the Constitution for appointing Supreme Court and High Court Judges? II. Can the constitution be amended by a judicial verdict or only by the Parliament in accordance with Art. 368 or in other words Can the clear language of Article 124(2) be altered by judicial verdicts and instead of allowing the President to consult such judges of the Supreme Court (including even junior judges) as he deems necessary, can only the CJI and four senior most judges be consulted while appointing a Supreme Court judge? III. In the constitutional scheme , shouldn’t the judges be appointed by discussions and consensus between the judiciary and executive , or can judiciary alone make the appointments ? IV. Is there any convention that the President is bound by the advice of the CJI and can it prevail over the clear language of Article 124(2) and Art. 217(1) or in other words does the word consultation in Article 124(2) mean ‘concurrence’. It is unfortunate that the court has not answered any of these questions. 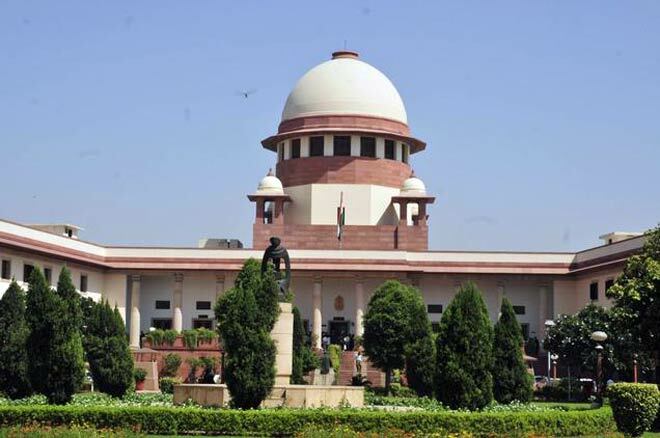 The object of having introduced the One hundred and twenty first constitutional amendment bill setting up the National Judicial Appointments Commission conjointly with the National Judicial Commission Appointments Bill which lays down the procedure of the working of the NJAC is to make the selection process more transparent. It attempts to broad base the appointment of Judges in the Supreme Court and High Courts, enables participation of the judiciary, executive and other eminent persons in the process. The NJAC encompasses of six members which includes the CJI, two judges of the Supreme Court, the law minister, and two eminent persons chosen by a collegium consisting of the CJI, Prime Minister and the leader of the opposition. One of the eminent persons must be so chosen as to represent the OBC, SC , ST Or Women. The NJAC will be intimated by the Central Government regarding the vacancies that arise in the apex court and the High Courts. With regard to the appointment of the CJI and Chief Justice of the High Court the NJAC is to recommend the name of the senior most judge of the Supreme court or the concerned High Court provided the person is fit to hold the office. The committee is required to lay down in detail through regulations the criteria for selection. The recommendations and appointments must be made solely based on the ability , merit and any other distinguishing criteria mentioned in these regulations. While making recommendations for appointment of judges to the High Court, nominations have to be sought from the concerned Chief Justice. In case the NJAC nominates certain names, then also the views of the concerned Chief Justice will have to be taken. In both the cases the Chief Justice of the concerned High Court is required to consult two of the senior most judges of the High Court and any other judges and advocates as specified in the regulations. The NJAC is also required to elicit the views of the Governor and Chief Minister of the concerned state. The president is endowed with the right to ask for reconsideration of any recommendation made by the commission. However despite the request for reconsideration if the NJAC sticks to their recommendation unanimously, the President will have to make the appointment accordingly. Yet another unique feature of the bill is the veto power bestowed upon the members of the commission. By virtue of the veto power ,The NJAC shall not recommend a person for appointment if any two of its members do not agree to such recommendation. The bill has been passed by both the Lok Sabha and Rajya Sabha. However this constitutional amendment setting up NJAC will only come into force as the ninety ninth amendment only if it is gets approved by at least one half of the state assemblies and the president. Hence it might come into force only after eight to twelve months. The judiciary must definitely get the independence it deserves. However the independence must go hand in hand with accountability. The collegium system gives the judiciary the required independence , but has failed in holding it accountable. The need of the hour is evolving a new system. Selection of judges to the higher judiciary must be based on certain set criteria and there is nothing wrong in mandating that this criteria or regulations made by the NJAC be laid down before both the Houses for the approval of the people’s representatives. However the vetoing power allowed to the members of the of the NJAC may cause some delay in the decision making. It would be more desirable to do away with this veto power and instead give more weightage to the opinion of the majority. Though the majority of the members in the commission are those representing the judiciary ( CJI and two judges of the Supreme Court), the veto power of the other members may caste an undesirable shadow over the opinion of the CJI and the judges. Only time will tell us if the selection and appointment of judges by the NJAC have triumphed over the collegium system, though at the first glimpse it looks like it might change the system for good. For the time let us welcome this change by keeping our fingers crossed! !